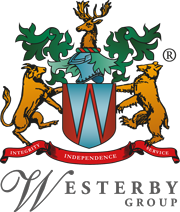 Established in 1987 and based in Leicester city centre, Westerby offers specialist financial, taxation and independent investment advice for both individual clients and businesses, in the UK and internationally. If you are seeking independent financial advice, you want qualified, professional and impartial expertise that looks at your individual and specific circumstances and needs. We carefully consider your personal taxation situation, your health, lifestyle, ambitions & aspirations, your approach to investment risk and your existing financial arrangements. And we’ll gladly provide financial advice to help your close family or your business partners too. Westerby Investment Management is independent, not tied to any one agency or restricted by the number of products or options that we provide. Our emphasis is on giving you comprehensive advice, rather than selling you a product. If you manage your own business, or have people playing key roles in your company, your team of talented managers, partners or directors is your greatest asset. Their drive, skills and ideas can mean the difference between business survival and real growth. But what if the unexpected happened? Could your business cope without one of your company’s key people – your managing director for instance, or your business partner? Anticipating a potential future crisis is crucial to good company management and control. Westerby Investment Management offers financial advice in relation to key person life assurance, share cross option agreements, directors and staff retirement benefit schemes (group pension schemes), corporation tax planning and more.